Headquartered in Houston, Texas, Percussion Petroleum, LLC is an independent oil and natural gas company that uses Certified Mail to communicate with state and federal agencies and well owners around the country. 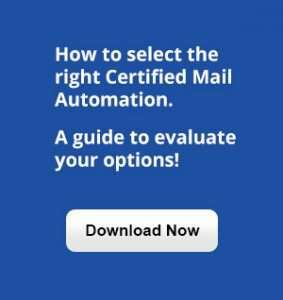 With WALZ Certified Mail Automation, the firm’s staff has streamlined their critical communications and tapped into the enhanced features and benefits of CertifiedPro.net. Filling out forms by hand was time-consuming and a drain on productivity. But there was another challenge: the volume of Certified Mail going out every week varied from three pieces to as many as 20. Percussion Petroleum’s ideal Certified Mail solution would not only have to save time, but deliver the flexibility to scale with volume fluctuations. 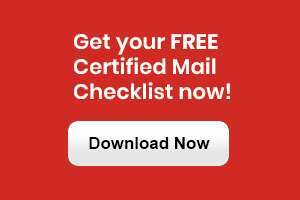 In April 2017, the company adopted WALZ Certified Mailer™ formss, with CertifiedPro.net, for all of their Certified Mail processes. Today, Percussion Petroleum uses WALZ solutions to send Certified Mail with traditional “Green Card” Return Receipt, as well as Return Receipt Electronic (RRE), a key flexible and money-saving benefit of using CertifiedPro.net. Besides boosting efficiency and freeing up staff to get back to other important work, CertifiedPro.net also provided a recipient address book that allows storage for up to 1,000 addresses for quick access— a key benefit, since many of the company’s critical communications go to the same recipients.